For free. You just need to find it. Awesome! It is now yours forever! 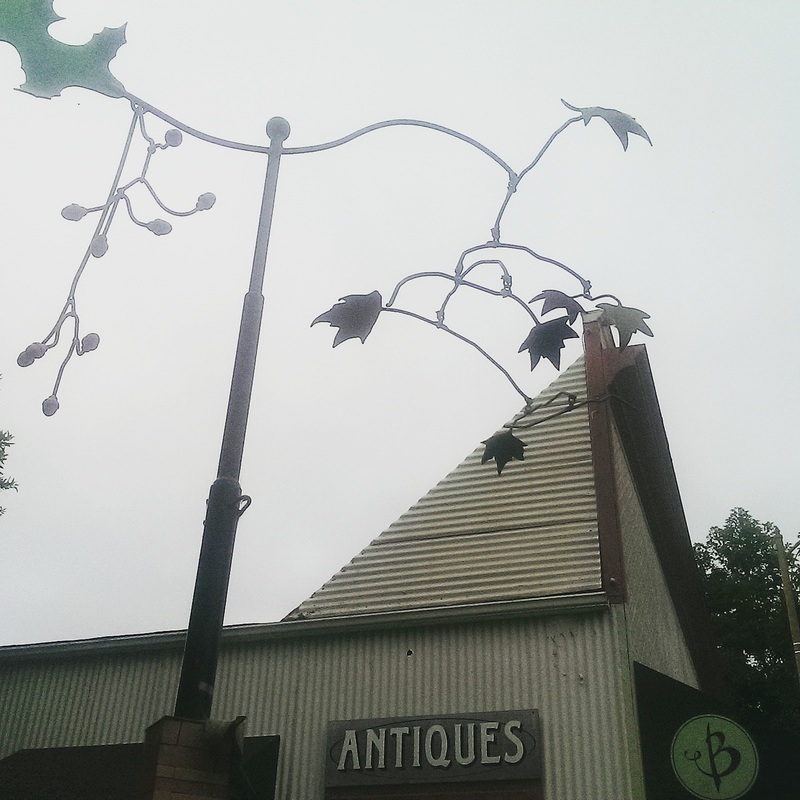 We encourage finders to snap a photo and share their find on social media especially Instagram and Twitter! Upload a photo of the art you found to your own Instagram and/or Twitter with the hashtag #HiddenArtSLO. Please thank the artist in your post by @tagging them and shout out to @HiddenArtSLO by tagging us too! Be sure that your account is public so that others can enjoy your post. 2) Share with us on our website! Please snap a photo of yourself with the art and send it to us! Use the form on the right to help in the sharing! If you are unable to share your found art via Instagram/twitter, please feel free to use the form too! Teva Gabis-Levine found artist Neal Breton's artwork! Upload a photo of the art you found so that we can share it! JIM BAGNALL with his cigar box beetles. HiddenArtSLO seeks art of all sorts. Fine art, crafts, music, poetry, even that chapter from your book you are working on! We are open to your creativity!! Partner artists are given a box (think antique cigar box) to use to enclose the donated works or in some cases the box itself becomes the art! HiddenArtSLO then creates the clues and hides the boxes containing the art COUNTY-WIDE! We will include a short bio about the artist, including the artist’s Instagram, Twitter, and website as well as instructions for the finders of the art to encourage them to share what they found. Not on Twitter or Instagram? Keep checking this spot. We will post clues here too. ​Update: This clue has been solved! Art plays second fiddle but you know where to go. 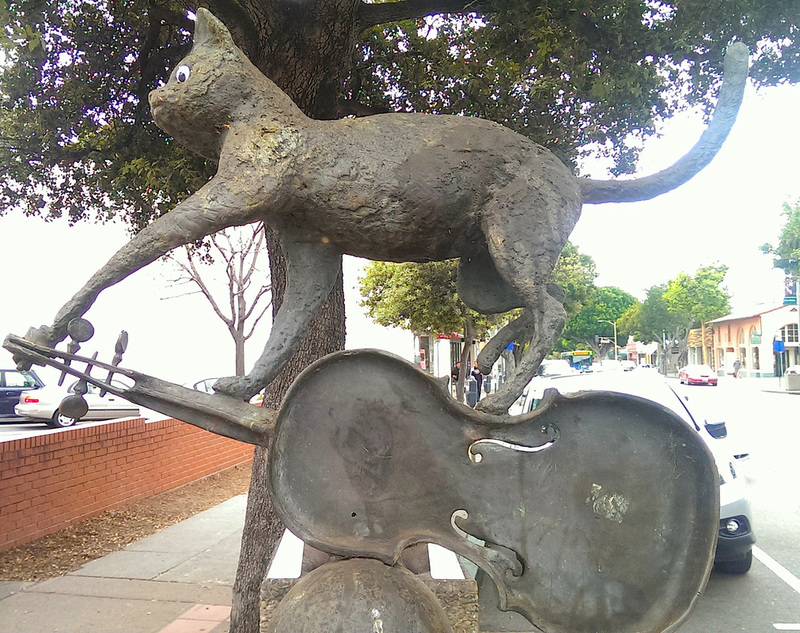 Meet us by the cat for #hiddenartslo Find art 7-8pm June 5th Update: This clue has been solved! A Bee-utiful space gives way where #HiddenArtSLO waits to make your day Find between 6-6:30PM March 6 #ArtAfterDark Update: This clue has been solved! Gum drops or rain drops, #HiddenArtSLO is on the go. 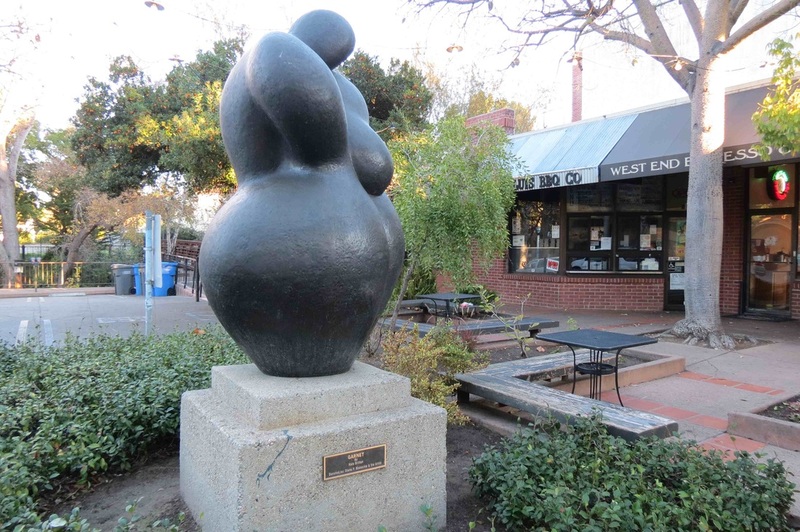 Find between 6PM-7PM Feb 6 #ArtAfterDark Update: Art was hidden and found by Bubblegum Alley, in SLO! Body and soul, art will help your heart grow. Find between 1-2pm Jan 2. 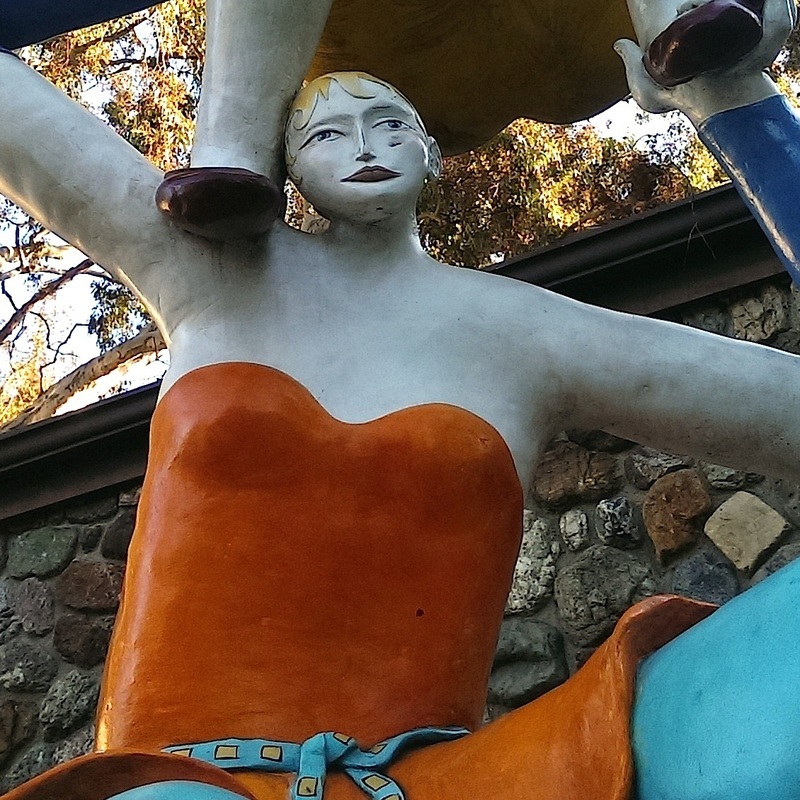 #hiddenartslo Update: Art was hidden and found at the sculpture "Garnet" by artist Kate Britton, in SLO! Finding art in a roundabout way, will surely make your day. Find between 11am-12pm Dec 20. 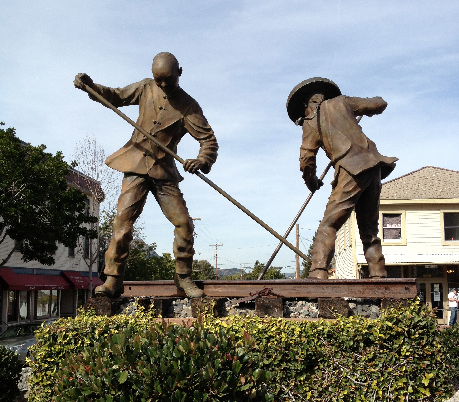 #hiddenartslo Update: Art was hidden and found at the Railworkers roundabout by Elizabeth McQueen, SLO! 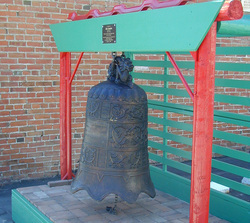 The Big bell chimes to signal the setting for the next free art you are getting. Find between 6-7pm Nov 7 #hiddenartslo Art After Dark SLO. “Spend Time with those you love” and find the free art you dream of. 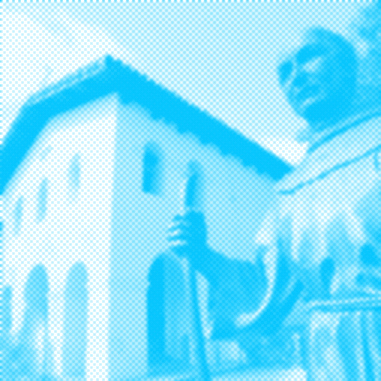 Find between 6:30-7:30pm Oct 3 Art After Dark SLO. 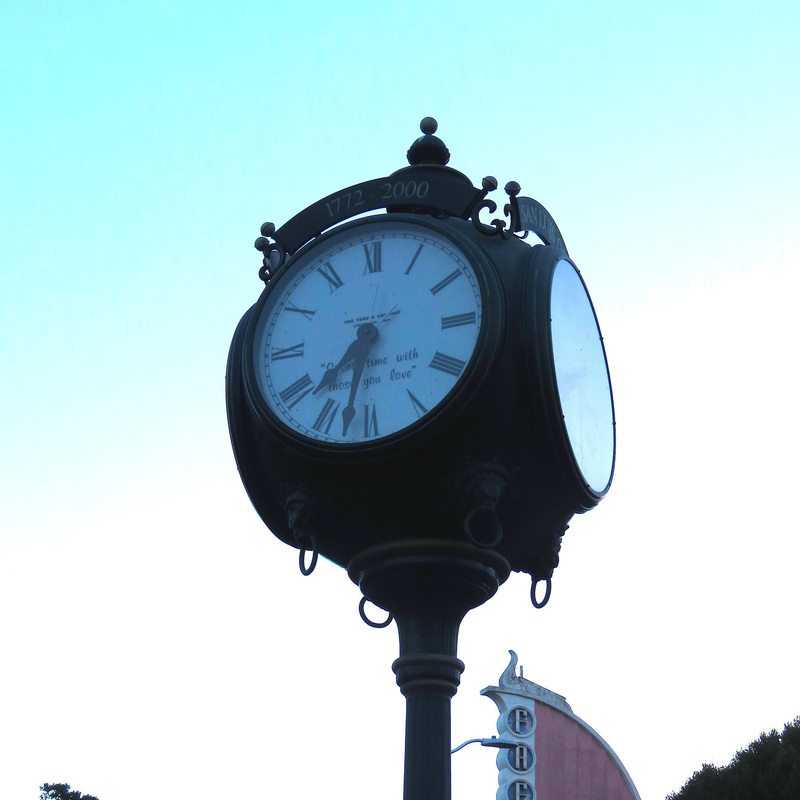 Update: Art was hidden and found at the Volny clock at the County Courthouse, SLO! Stone lion sentries kept guard centuries ago, today they watch over #hiddenartslo Find the art between 5:30-7PM Art After Dark, SLO Sept 5 Update: Art was hidden and found in LC YC Cheng Park, SLO! "Dog" header by Suzi Bliss, 2012.